Former Minister of Petroleum Resources, Diezani Alison-Madueke, stashed a sum of $115,010,000 in the bank with subsequent instruction to change it into naira and distribute it among individuals in the 36 states of the federation, an official of Fidelity Bank Plc, Timothy Olaobaju, said on Monday. Other beneficiaries listed by Olaobaju included a Senior Advocate of Nigeria, Dele Belgore; and a former Minister of National Planning, Prof. Abubakar Sulaiman, who both received N450m. Olaobaju said this on Monday when he appeared as a prosecution witness before Justice Rilwan Aikawa of the Federal High Court in Lagos where Belgore and Sulaiman are being tried for alleged money laundering involving N450m. The Economic and Financial Crimes Commission, EFCC, charged Belgore and Sulaiman with five counts. The EFCC had earlier arraigned Belgore and Sulaiman on February 8, 2017, but they were re-arraigned on Monday on an amended charge which included the name of Diezani. Upon their re-arraignment, Belgore and Sulaiman pleaded not guilty to the five charges just as they had earlier done. Trial commenced immediately after the defendants’ plea with the EFCC calling Olaobaju as its first witness. Led in evidence by the EFCC prosecutor, Rotimi Oyedepo, the witness narrated, “Sometime in April 2014, our MD, Nnamdi Okonkwo, gave a directive that certain companies and individuals would pay into an account with our bank some amounts of money. The purpose of the payment was not disclosed. “The funds were paid according to Alison-Madueke’s instructions. On the list sent to our branch, the names of the defendants (Belgore and Sulaiman) were on that list because the money was paid in about 36 states of the federation. “The defendants are not customers of our bank. The instruction was that the sum of N450m should be paid to Mr Dele Belgore (SAN) and Prof. Abubakar Suleiman. The court admitted both Receipts of Payment in evidence and marked them as Exhibits 1 and 1A. Asked by the prosecutor whether any cheque was issued in favour of Belgore and Sulaiman in respect of the fund, the witness answered in the negative. For the cross-examination of the witness, Belgore’s lawyer, Chief Ebun Shofunde (SAN), asked for an adjournment, as he said most of what the witness said on Monday were not in the proof of evidence front-loaded and served on the defence counsel. 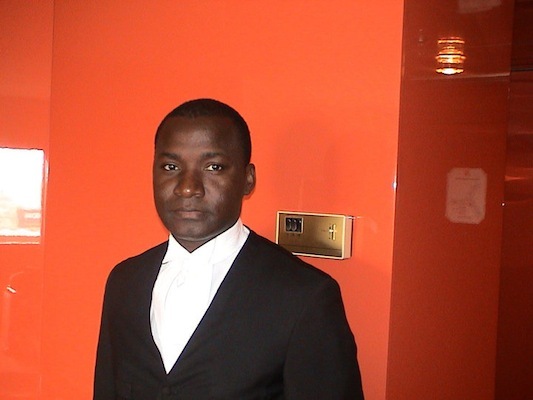 Sulaiman’s lawyer, Olatunji Ayanlaja (SAN), aligned himself with Shofunde. The prosecutor said he would grudgingly concede to an adjournment till Tuesday in view of his respect for the defence counsel. Justice Aikawa, consequently, adjourned the matter till Tuesday for further proceedings. In the charges, Sulaiman, a professor of Political Science and International Relations at the University of Abuja, and Belgore, a former governorship aspirant in Kwara State, were accused of conspiring between themselves to commit the offence on March 27, 2015. The EFCC claimed that the defendants paid N50m to one Sheriff Shagaya. The EFCC said the cash sum was above the lawful threshold permitted by the Money Laundering (Prohibition) Act. Belogore and Sulaiman were accused of violating sections 1(a), 16(d), 15(2)(d) and18(a) of the Money Laundering (Prohibition) (Amendment) Act, 2012. The prosecution said they are liable to be punished under sections 15(3)(4), and 16(2)(b) of the same Act. Justice Aikawa had earlier granted them bail on self-recognisance.